Billy Guess and his family. I started working in the green industry at the age of 13 doing landscape maintenance and construction on a private estate in Quissett; a village in the town of Falmouth Massachusetts. After graduating from high school in 1985, I enrolled in the US Army and served my country until 1987. After this I started working for a small tree care company in Falmouth that serviced a 25-30 mile area. The owner of the company was a Mass Certified Arborist with an Arboriculture degree. He instilled in me a passion for this profession that I still carry with me today. We worked on many properties, large and small, and I learned new skillsets every day. Along the way I became an ISA Certified Arborist, a licensed pesticide applicator and attended many training workshops for climbing and plant health care and safety. I also competed in tree climbing competitions. While being fun, they were also a valuable tool to learn and hone tree climbing skills to use on the job. In 1996 the small company was sold to a large regional tree care company and my learning continued. I worked in Maine for a year from 1997 to 1998 and was offered a job as the arborist on a private Estate in Seal Harbor, Maine. Within a year I started my own business, Eagle Arboriculture. My business is conveniently located in Trenton, Maine, allowing me to service the Coastal and Downeast regions in Maine. I still am open to learning new techniques and strive to give my clients the best service their money can supply and the care their property deserves. 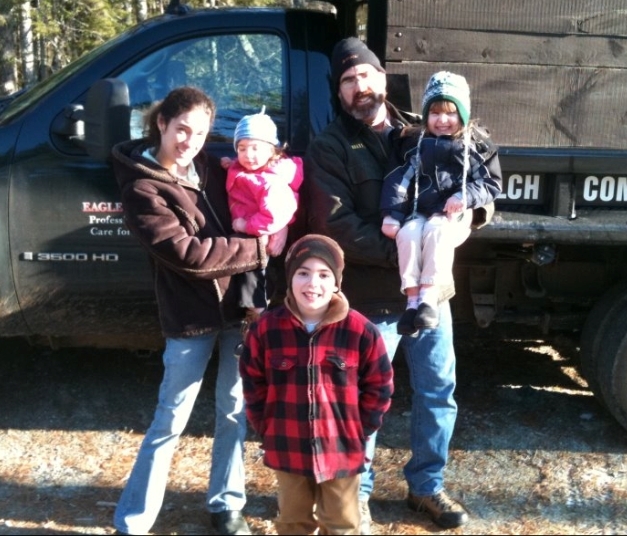 I also serve my industry on the board of the Maine Arborist Association and am a proud husband and father of three children.